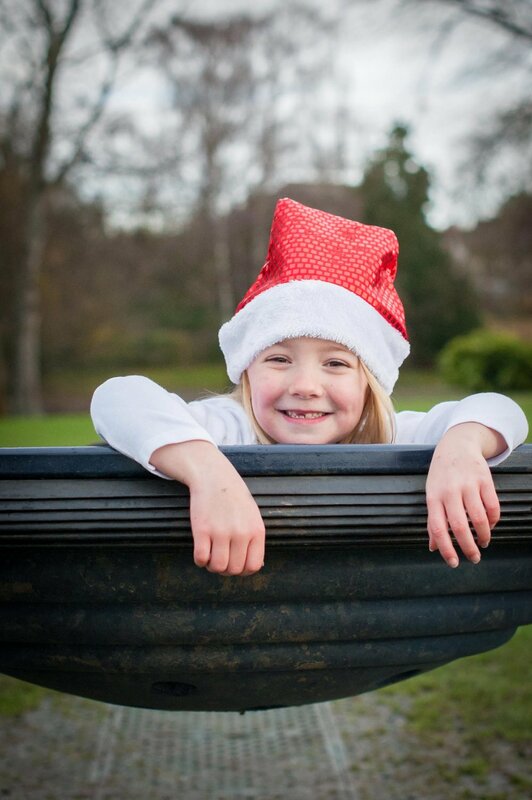 I can’t believe it’s been almost a year since my last photo shoot at Hatherley Park and how bizarre that my last shoot here also involved children in Christmas hats! Oliver and Jacob’s Mum, Juliet, won her photo shoot in a school raffle. I’m contacted quite frequently asking for donations, and being a Mum myself on my own children’s PTA, I know how welcomed these donations are. I like to do my bit to help where I can. The boys were good fun. To warm everyone up a bit to the camera, I suggested a bit of messing around on the swings in silly hats. This had the desire effect. Soon enough they relaxed into the shoot and were happily posing and having a giggle with Mum and Dad. 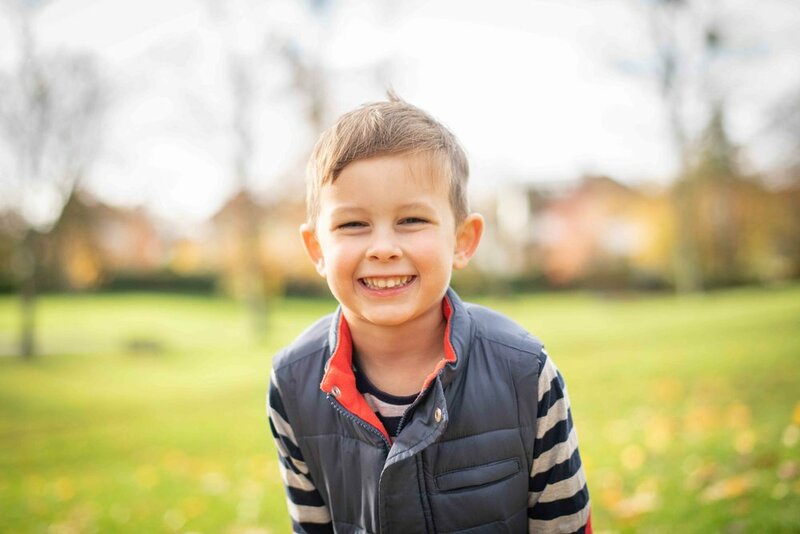 As with all my shoots, it was very informal, which is great as it means the children are more at ease and I can capture people’s true personalities. Meghan won her 30 minute mini park shoot at a raffle at her local school. I like to support local schools and charities where I can so I'm always happy to give a free photo shoot as a raffle prize. Meghan told me how excited she had been all week ahead of the shoot and couldn't wait to show all her friends the photos! Her Mum and Dad joined us and together we took a stroll around Hatherley Park, Meghan picking a few of her favourite places to stop and pose! This photo shoot is one I did back in October but I'm only able to share it with you all now as the photos were Christmas gifts for family. The girls were incredible fun. They enjoyed throwing leaves over poor old Dad and also pushing each other in the giant swing. Climbing trees and zooming down the fireman's pole in the playground was also a favourite! It's been a while since I've been to Hatherley Park but last Sunday I was pleased to meet up with Claire, Josh, Jack and Charlie again. I last photographed this family when Jack was just one. Two years later he was looking more grown up than ever and had a little brother too. As with all my photo shoots, we had lots of fun. Mum and Dad were keen to keep the photos to within the playground so the children had a lovely play while being snapped rather inconspiculously by me! Last Thursday evening I was in Hatherley Park, Cheltenham, to photograph Alex and his younger brother Leo. Their Mum, Helen, had booked one of my popular mini park shoots. We had lots of fun playing hide and seek in the tall grass, blowing bubbles and Mum and Dad gave the boys a few swings too! If you would like to book something similar then give me a call on 07983 465414 or drop me an email using my contact page. Thanks! Last Saturday I headed over to Hatherley Park for what was probably my wettest park shoot to date! I shoot in any weather and it seemed my subject - the ever so gorgeous Minnie - didn't seem the slightest bit fazed by the rain either! The photo shoot was primarily to get lots of lovely photos of Minnie with her Dad, (who like me is normally the one behind the lens!) Like all of my park shoots, it was great fun and Minnie had a blast! On Saturday I whisked myself off to Hatherley Park to meet gorgeous Sunny and Jaya for some fun, family photos! It's been a while since I've done a photo shoot at Hatherley Park so it was great to get back there. Like most 4 and 2 year olds, (I've two of my own!) Sunny and Jaya had bags of energy to burn! Sunny had great fun showing me how good he was on the fire man's pole and Jaya loved the swings! After 10 minutes or so in the playground I suggested we take a walk through the park. Sunny loved playing hide and seek with me. This is always a good game to play as I use the time counting to secretly see where they are hiding and adjust the camera settings to correctly expose for the light levels. When I creep up on them and shout BOO! my camera is ready to go to get the perfect picture! My park photo shoots are really popular. They are very informal, relaxed and fun. For just £50 you get a 30 minute photo shoot in one of Cheltenham's many beautiful parks - you choose which one. Also included is the editing and post production, 10 high resolution jpeg images, (digitally released) and no copyright restrictions, so you are free to print and make copies as you wish.